Big business interests hang in the balance. Once again, international, “crony capitalism” is at work picking the winners (well connected), and losers (not so well positioned) in this next re-ordering of things. I don’t foresee any physical destruction (bombing) in Iran though. James makes a great point. It’s obviously contrived/orchestrated if the USA (over time) is being slowly derailed as the premier, world power in favor of something more like the Chinese model. Melody is a lovely host. Nice job guys. Very good point about the absence of any meaningful articulation concerning the argument for ripping up of the Iran deal. After all, the only sound bite we have had to date is the Neanderthal, one dimensional sloganistic note from the tangerine man – “bad, bad deal, a terrible deal” – blablabla. And that’s about it. Due exactly to this dearth of reasonable, intelligible argument for the dissolution of the treaty, one would think it was an early signal from the Trump campaign trumpeting very loudly in Netanyahu’s ears of a very cooperative and tight relationship to come….Very handy for any potential presidential candidate. As events have now bared out, it’s doubtful Hillary Clinton wouldn’t have been playing any less a soothing Zionist tune at this juncture. Damn! Halfway through the segement, after the remark about “Europe growing a backbone”, I was thinking Yippy! I’d write this pithy and perspicacious comment about America shooting itself in the foot ON PURPOSE as a catalyst to bring about the engineered tectonic shift of the Rising Global Agenda 2030 Smart Grid with Eastern egalitarian values as its poster child (which entails pushing Europe into Russia’s arms with the Iran nuclear agreement debacle as a prime pretext). 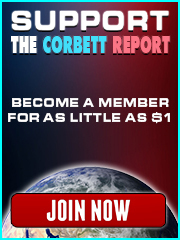 But of course that’s what Mr Corbett tied it all up with from Iran, via Europe and Japan, to North Korea. I’m such a silly well-trained monkey. Brazil, Russia, India, China and South Africa appear to have been genetically modified with the zionist/deep state virus. Whereas Iran still seems to be fairly organic? But that’s probably ignorance tinting my perspective. The question is, what havoc will the US/UK/Israeli-Iran polarization and the conflict in Syria wreak in the Middle East before the BRICS of the new geo-political balance are sustainably cemented into place. Excellent Melodic point about the Russian pipeline being an incentive for Korean reunification. Cooperation being an ace to play in the geo-political poker game. Also a nice pretense for military antagonism with the West for business or eugenical purposes. 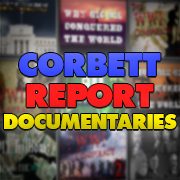 At any rate, the war is already on as pointed out by Mr Corbett. Finally, given its history I’d say Trump is a most worthy candidate for the Nobel Peace Prize. He plays the capricious, hot-headed, egotistical war-monger with such astonishing ease. Doesn’t possess Kissinger’s sinister and suave semblance but nevertheless the perfect prize-winning mid-wife for the controlled demolition of the old industrial American Dream paradigm. Lest we forget, War is Peace, Freedom is Slavery and Ignorance is Strength. Just want to add the obvious that in the above-mentioned geo-political poker game, the deck, is of course, stacked. K could also stand for Kool-Aid. It would surely be very fitting. Which begs the question; Where’s the line between acknowledgement of this fact, and overkill? i.e. ; Is over-analyzing current events a form of surrender in itself? A form of surrender that has its charms. But surrender it is, nonetheless. But I’m open to suggestions. Even from a Gaslighter. And I have a taste for more perspective. Within the limits of my timetable of surrendered slave. Which is why I’m on this site, I guess. These are events, but they are not necessarily horrific. Let us say countries have implemented alternative currency methods. Which of course they have. While these things do weaken the US from the standpoint of world dominance (a lot of work if you ask me), but they would also increase the rate at which the world’s economy become de-centralized. It’s not just the currencies which are changing, it is the paths they will be taking as well. This de-centralization is a good thing, if you ask me. Just because they have one destination in mind, don’t mean I’ve got to get off at that stop. I’ll get off where I dang well pleased, you silly whipper-snapper! but it seemed of prime importance at that instant. Monolithic. That’s pretty significant really. While I haven’t taken any of his courses yet, Jon Rappaport mentions people under the care of a hypnotherapist who report a giant monolithic barrier. It’s basically the limitations of the reality they are given. I imagine his courses are cheap in terms of their value, but I am, at this moment, not having to worry about drowning in filthy lucre. JimBob who is now going to consider practicing his swimming some to make sure he don’t drown. Naw. Too much effort. I have been wondering what is going on for some time, why Israel is cozening up to China and Russia, often behind the scenes, and why they installed a crooked man like Trump? Trump was 100% installed by our Zionist masters. Clinton, also a Zionist, was just playing a role, to make sure once Trump was installed the opposition to the Zionist chosen puppet would not make waves and point out voting irregularities. For some time the Zionist forces in America, Wall Street, the media, Hollywood, higher education through endowments, has been working to destroy American society, both overtly and subtlety. I have wondered why a nation, Israel, who I am confident was behind the JFK murder, MLK, and definitely 9/11, would be working against their primary benefactor. The answer is, I think they want to Balkanize America, as they have done to so many other nations before. This is what I believe to be about the :greater Israel project”, and making it the center of a global governemnt. I of course am not sure of this, but I do see Israel re-positioning itself, as it always does, to the winning side, always away from the fighting they want to be, and they create. Trump, likely the most corrupt man ever to set foot in the White House, was put there to navigate America to it’s demise. We all know America is in debt beyond belief and they can take us down financially at anytime, I believe this time is coming, maybe around August, hope I am wrong. James you hit the nail right on the head, this IS about undermining US interests to bring it down. You can’t have Israel as the center of the NWO and Washington. They likely want to break America into many pieces as well. You say you are confident that Israel was behind the assassinations of both JFK and MLK. I haven’t heard that proposed before. Yes, the CIA behind JFK, and the FBI behind MLK, but, not Israel. Out of curiosity, what brings you to your confident conclusion? You seem to indicate you’re much more confident in a definitive way, about the possibility of the Israelis being behind 9/11. There’s certainly no stretch in that regard, even forgetting about dancing Israelis, and suspicious Israeli art students – the immediate reaction of Israeli leaders was less than thinly veiled in their omniscient approval of the way in which a world was suddenly recast. Only hours after 9/11, Ehud Barak, having conveniently made his way to a BBC news room, was so anxious to tell the world of its brand new terrorist paradigm, the BBC host had to tell him basically to cool it with regard to pinning it on bin Laden. Have a listen to this starting at 6:50 mins. If one were to analyze a crime by motive alone, Israel comes in very near, or at, the top of the heap. Yet, this idea of rampant Mossad agents scheming and plotting does not in the slightest exonerate the likes of a Pentagon, a CIA, a Cheney a Rumsfeld and a bunch of their peers gunning for that new American Century. Creaming for. As to the question of why Israel would be intent, as you speculate, to undermine the one country that ostensibly has its back, to Balkanize and shatter it to pieces, so as to gain greater positioning in the realm of the NWO, is far away, a real head scratcher. To where will all of the thousands of Israel’s prominent American supporters emigrate, as America crumbles? Tel Aviv? Jerusalem? The Golan Heights? As to why Israel would cozy up to Russia and China? Perhaps, it’s simply the resultant formula of the pure mathematics of economic positioning. If the parties can do business, then why not? Politics is for the masses, generating wealth is for the elites. How shocking it was to find, circa 1970, with a cold war still being fully waged (supposedly), a Soviet cargo ship, adorned with its red hammer and sickle, quietly nestled in a port harbor of one of the United States’ very, very closet allies? Namely, Canada. Is Trump actually, possibly, the most corrupt man ever to step foot inside the White House? Was he placed there to dismantle, demise, destroy the United States? My goodness, where are you getting your info? It’s enough to scare ya silly. Nevertheless, Trump huffed, and he puffed, until he Tweeted it down! What happens when we underestimate people (and situations)…. Some people will ask…. Why did USA break the Iran deal… Here is my take on it…. The USA government (including the deep state) have people like John Bolton and his opposite (in thinking) working as strategist.. Many of them. Their job is to assess the situation and advice what is to happen next in the interest of furthering the long term goal of USA. (which is dominate the world, it seems). During Obama’s rule, majority came to the conclusion that although sanctions worked on Iraq, Libya, USSR, etc, it does not appear to be working on Iran, as Iranians are getting better in terms of technology and living standards everyday. So, it is best to cut losses and strike a deal. During Trump’s rule, majority decided that if it worked in Iraq, Libya, etc, then it must also work in Iran. It is just we did not give it enough time. So, they fail to see that in every nation, there will be a Julius Caesar, or Albert Einstein, or Hugo Chávez etc. USA did not win a war in the last 70 years! I tend to trust VB’s reporting and more so real people. In this case things seemed to get out of control on the translation front, is there anything missing? Sorry to burden you but I’m not a linguist.